How many of us have heard of the term, “clean eating”? I’m sure all of you are nodding your heads right now. It’s a word that has been a topic for the past few years and it won’t be going away any time soon. Clean eating has become a buzzword, especially for people pursuing a more active lifestyle or hoping to achieve some weight loss. Clean eating can mean a number of different things and there are several opinions on the subject. The form that clean eating takes varies, depending on what’s trending and what seems to be working so that’s why I am introducing you to a possible new idea which I titled, “not your normal soup cleanse”. Enjoy the fascinating Infographic below. Many people are still focused on the paleo diet, which tries to marry today’s eating patterns with what our ancestors would have eaten. 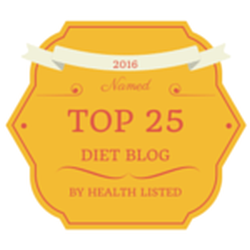 There are also those who continue to limit breads and other starches, and believe that a low-carb diet offers a pathway to better health. Gluten free has also become popular, even for people who don’t have issues with celiac or gluten intolerance; many use it as a way to balance out blood sugar levels. These are all considered forms of clean eating and one isn’t necessarily better than the other – it really depends on your needs, your body make up and what goals you want to achieve. Whether the reason is to increase energy, balance hormones, help with anti-aging, or to have exercise support, what many of these diets hold in common is a way to reset eating patterns and to gain back control of what may be wayward eating habits. That’s why another popular diet pursuit, called a cleanse, has maintained its attraction. Many cleanses focus on greatly restricting food intake by giving people a very limited list of foods to eat or drink. While this may sound appealing for fast weight loss, the one thing that’s wrong with some of these cleanses is that they don’t provide enough nutrition to sustain normal daily activities. This is why a soup cleanse may be a better alternative to the traditional cleanse. On a soup cleanse, you’re still limited in the food you can eat, but in this case, soup provides fiber, protein, and essential vitamins and minerals so that you feel nourished, but you’re still restricting caloric intake. Soup cleanses have the added benefit of being seasonally adaptive—meaning you can eat cold soup in hot months and warm soup in cold months, which sounds way better than drinking cold shakes in the winter! Don’t forget bone broths, as many of you know how I feel about them. 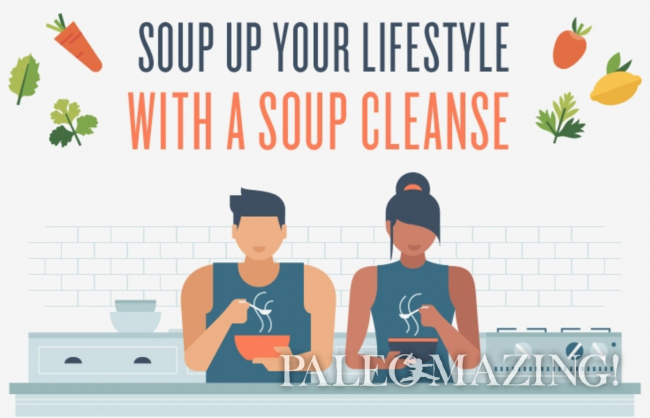 Does the idea of a soup cleanse sound appealing to you? These recipes and the many details in the infographic make it even more so. I hope you enjoy.